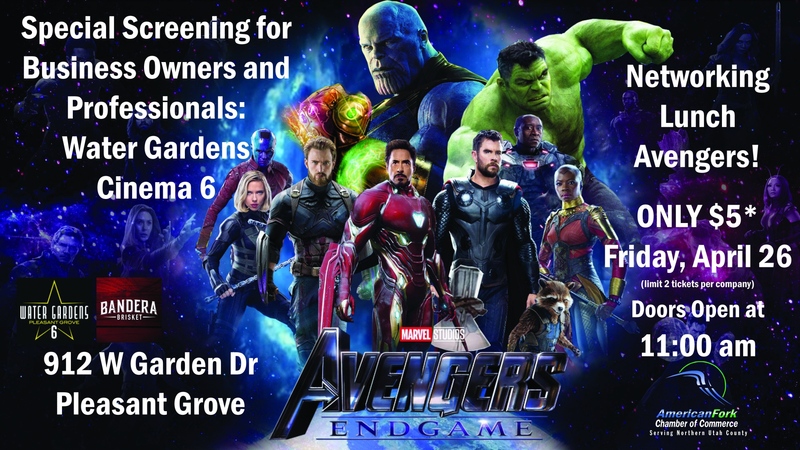 Join us THIS Friday for a private showing of Avengers Endgame! Enjoy networking, amazing food from Bandera Brisket, and the most anticipated movie of the year! There are a limited number of seats so get registered while you still can!